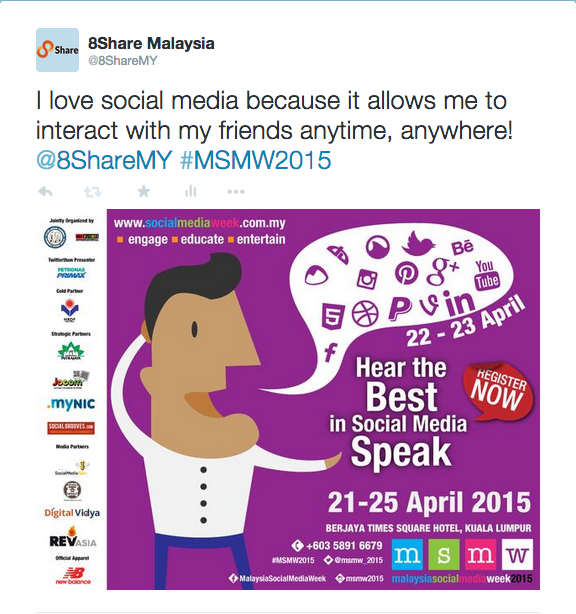 Malaysia’s most happening social media event is back in town! 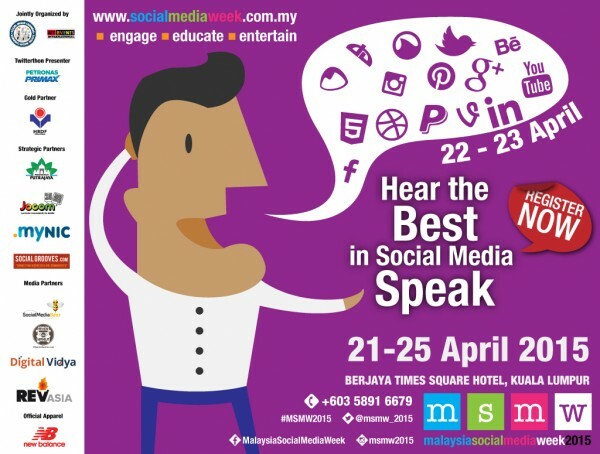 It’s time for the Malaysia Social Media Week 2015! 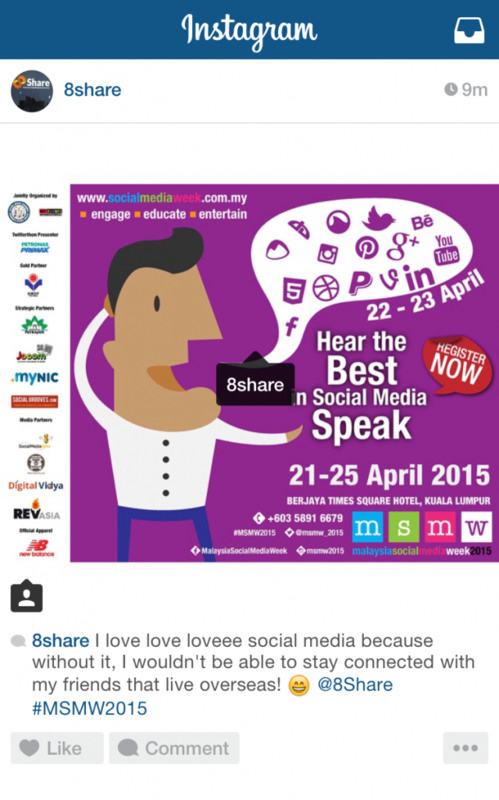 We’re giving away 5 passes worth RM399 each for the World Bloggers and Social Media Summit, happening from 22 – 23 April 2015! HOW TO WIN A PASS? Need help? Here are two examples! 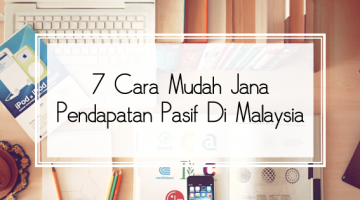 This giveaway ends on 17 April 2015, Friday, 11.59PM (GMT+8). 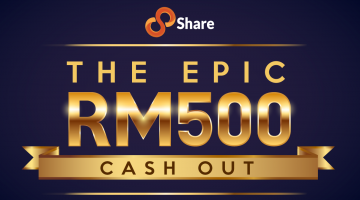 Winners will be chosen at random and the results will be announced on Saturday, 3PM (GMT+8) via Twitter and Instagram. Join now and win your World Bloggers and Social Media Summit pass!